For many decades when your TV stopped working, the first thing on mind was “I need to get it fixed”. Many people remember time when they could test their TV or radio tubes in stores. You could also buy replacement tubes at many local stores. Later with end of tube TV era, it became more difficult to fix a TV by yourself. Solid state parts were not so easy to test and most of them required to be de-soldered to be tested. That required professional TV repairman with skills. It was not exactly cheap to repair a television, however in most cases was a lot cheaper than to buy a new TV. As technology moved forward, TV prices came down. TV’s are getting more advanced and better each year. It is also getting harder to find TV Repair Shop to get TV repaired. This will raise fair question: Should I fix my TV or just go and buy a new one. Let’s try to find out step by step. Is my TV really not working? When in middle of watching your favorite show your TV will stop working, the first thing you may think that TV is broken. Before making this conclusion and going to the next step, let’s just make sure that problem is in fact your TV and not something else. First unplug power cable from your TV and leave it unplugged for at least 5 minutes. Try to turn it back ON. This will reset a processor on your main board and in many cases fix a problem. If TV is not turning on, check that TV is plugged in and receives power. Try to turn TV manually. On television itself locate and press “Power” button. A lot of times problem could be your remote control. If TV turns ON try to change batteries in your remote. Also remote may need to be programmed. If TV turns ON but not getting picture or sound, check your satellite receiver or cable box. Try to reset it by unplugging from the power source and plugging in again after 5 minutes. If you tried these steps and TV still not working, you may need to get it repaired or replaced. Should I repair or replace my LED / LED TV? Once you determined that problem is indeed your TV let’s talk about possible cost of repairing it. These repairs are almost never economical. In this case you better of just buying a new TV. Check our How much does it cost to repair or replace a TV screen? page. Price of TV really depend on size of the screen. Price of TV goes up with every inch of screen size. At the moment of writing cost of 24″ TV is bout $100 – $150. Most common failure parts are main and power supply board. They usually priced $80-$120 for this size of TV. Labor to replace them will vary from shop to shop, but on average will be $50 – $100. Even if you have to replace on of these boards, repair will exceed replacement cost. If TV is bigger than 40″ it may worth to at least check the TV out. Lately many people try to repair TV’s with help of growing online TV repair resources. 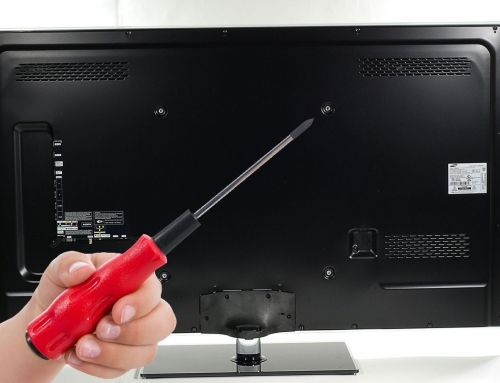 Be sure to check our DIY TV Repair Tips page. If TV is 50″ or larger and it’s not too old, it would be wise to get it looked at by a professional TV repair man. 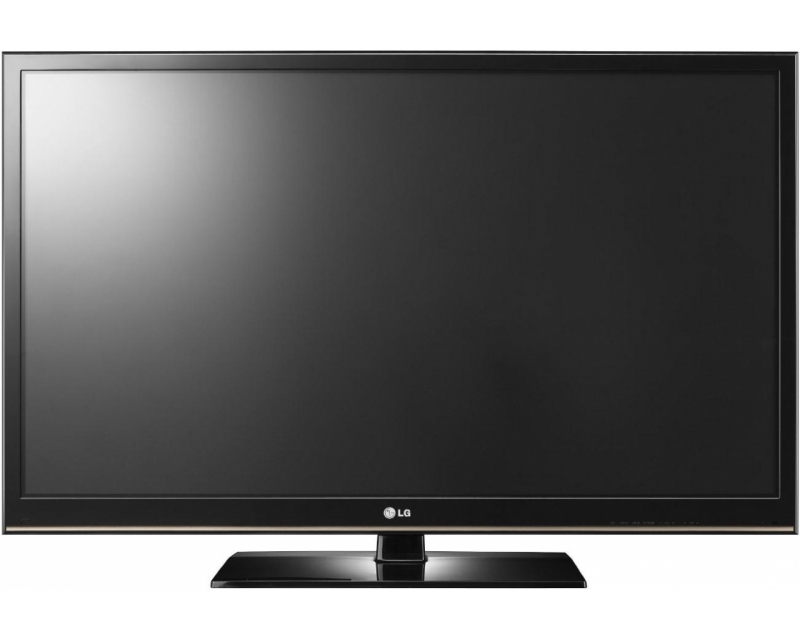 Many older LCD or LED TV’s are quality build and may last for many more years after repair. When your TV breaks it may be a good excuse to upgrade it the newest model. Every year TV models change. They getting bigger, thinner, lighter. Picture resolution gets better (1080HD, 4K UHD). TV’s also get more features (Smart TV, Voice command, etc). If you always wanted to upgrade and budget allows – this may be the good time to do it. Just think of what you would have spent on repairing this broken TV and put it toward new one! We live in desposable world. Looks like there’s no point to even try to get TV’S fixed, unless it’s one of those huge 4K models. Thanks for the article. Just visited local Best Buy store, prices are indeed very tempting. Looks like my old Toshiba TV is not worth repairing. With all the 4K Models priced under $1,000, will just buy as new one. How much does it cost to repair or replace a TV screen? Should I repair or replace my LED/LCD TV - TV Help on How much does it cost to repair or replace a TV screen?